Ever wondered how people are making money overnight just by giving an online platform to merchants and buyers? 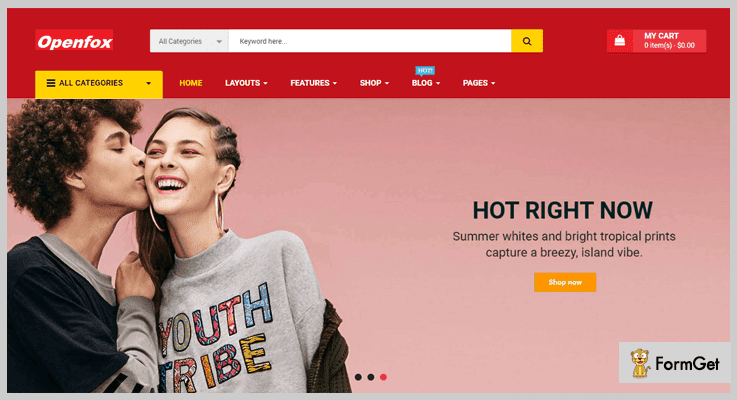 Well, that’s how incorporating a marketplace on the website helps you grow rich and gain popularity among online shopaholics. The next question that must have popped-up is, If I want to have a website for the online marketplace, do I need to search some of the brainiest developers? The answer is a big NO NO. A newbie can give a neck-to-neck competition to the already established and renowned marketplace like Facebook, Amazon, eBay etc. by using the PHP scripts. Using these scripts, you can create an e-commerce portal where multiple vendors can accumulate and sell their products. Eventually, your website can be a one-stop store for the buyers who always seek different brand options for a product. Also, the webmaster has control to decide transactions fee, currency, generate an invoice, shipping charges etc. As far as product & user management is concerned, the admin can categorize the products, offer multiple payment gateways to the users, allow social login and tons of such important features. So let us dive in and have a better insight into these scripts. If you are looking for a solution to have a multi-vendor digital content marketplace, then eMarketplace is the best answer. In the admin dashboard, you can overview all the important statistics such as most used browsers, top referral websites, total sales, vendors, customers and a lot more. Webmaster can customize logo, favicon, site title etc. to make their website best among the others. In addition to this, they will get built in FAQ, Contact Us & About Us pages. Vendors can perform various actions like add unlimited products, activate/deactivate or remove them, add multiple images to a product, display old price etc. Further, they can process their withdrawal payment via PayPal, Skrill, Payoneer or bank. Admin can configure the settings to enable Google Analytics and add website meta keywords for better SEO results. 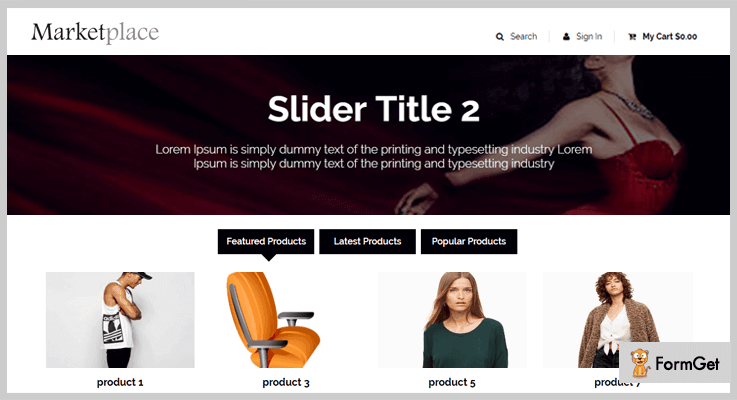 Moreover, he can add dynamic sliders on the website representing the featured product that will eventually attract the visitors. You can avail this feature loaded script in just $41 and have 6 months support along with it. And if you wish to extend this support for a year, pay $13.50 extra. With AJAX, you can have lightning fast web page loading even when users upload media files in bulk. In addition to this, you can facilitate users with various other options like chat system, social sharing of the media files, blog posts on the website etc. Admin will have clear stats about free & paid media items, top customers, media playlists, active users, number of success payments and a lot more. It offers 4 payment gateways options to the users – PayPal, Stripe, Authorize.net, Iyzico. 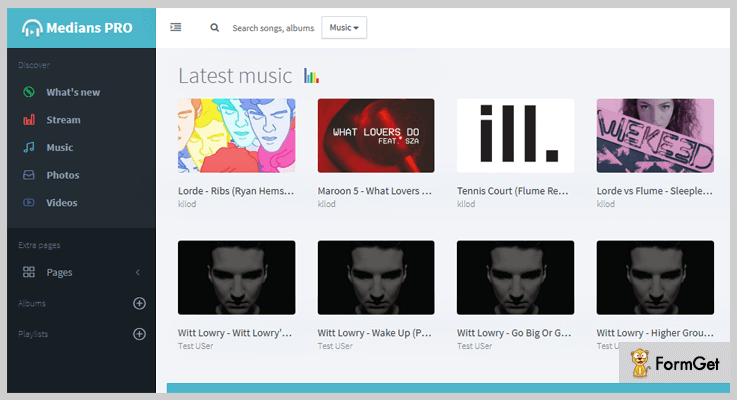 Furthermore, it comes with various hooks which can be used to display various sections like playlists, albums, advertisements on your webpage on different positions. 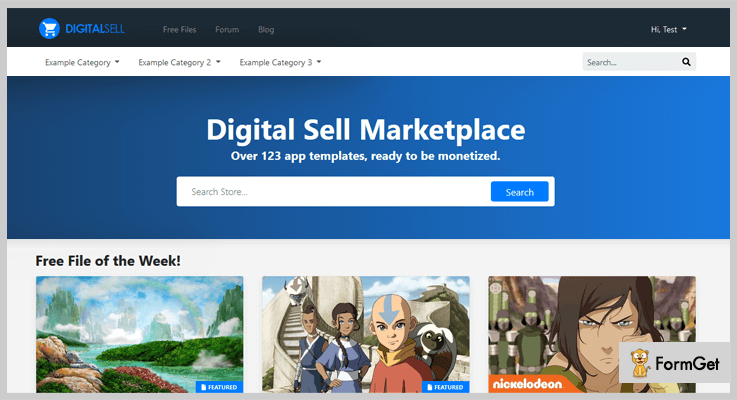 This marketplace PHP script is created for webmasters who want to have a hassle free platform for selling digital goods. The lightweight script has some of the best specifications like it is built on Bootstrap 4, powered by AJAX, and is easily customizable. Once you purchase the script, you will immediately have an admin dashboard through which you will have complete information about best-selling products, users management, discount coupons & transactions. You can manage all the users easily in terms of viewing their purchases, adding credits in their accounts, banning users and much more. Further, you can provide many options to the customers like newsletter subscription, email notifications, prepaid credits etc. After adding a new product, admin can perform various actions on it like mark the product as a featured/support item, limit its downloading option if the product is free, disable reviews and a lot more. Admin can make numerous setting like deciding transactions fee, currency, generate invoice etc. to enable the transaction. Further, there is a PayPal gateway option for users to complete their purchase. PayuKart is a multi-vendor marketplace script suitable for all kinds of products (physical and digital). This responsive script is built with Laravel & Bootstrap frameworks. Further, you can create a very user-friendly online shopping portal by adding back to top scroller, search option. Also, a user can add product reviews and ratings, can create a wishlist and more. Admin can configure various settings for different products according to his requirement. For instance, processing fees, shipping charges, admin commission etc. You can also provide an option of product comparison to the customers so that they can compare products offered by different vendors on the basis of ratings, price etc. It is integrated with PayPal & Stripe which are the most reliable and secure payment gateways. Most importantly, the script is SEO optimized & supports multiple languages besides English (Spanish, French, German). This script allows you to have a marketplace for the multimedia products (like audios & videos) from different sources. Hence, users can easily buy and sell their media goods globally through an online platform. 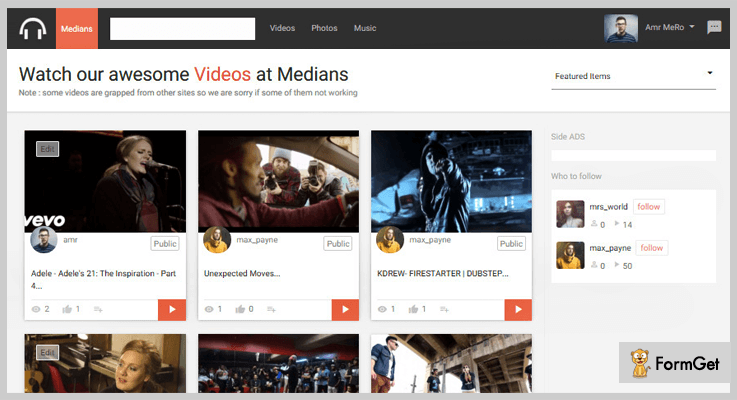 Users just have to upload their video, photos & music files either from their system or use media (such as playlist, user tracks, videos) from popular sites like YouTube & SoundCloud. Users can log in from their social media account like Facebook & Twitter and upload either premium or free media. Further, there are many other features for the users such as chat & following system, like/dislike, comments etc. The premium members can do the transactions by using their credits that are stored in their account or by currency payment using PayPal payment gateway. This script allows having a marketplace with multi-language translation & a template engine to create a theme for the website of your choice. This media marketplace script is available at $25 where you get 6 months support. Also, you can extend this support to 1 year by paying an additional amount of $7.50 only. This multi-vendor CMS helps you to have your own marketplace website. It is one of the best e-commerce platforms for both vendors & buyers with complete transparency. This is because the customer can view the seller’s profile and can also give feedback & rating to his products. Further, the store owner will have a complete track of the inventory, vendor access, sales report and many other useful information. Admin has full control over various aspects of his e-commerce platform. For instance, he can set up the number of days for the return period of products, create commissions structure for different vendors etc. In order to have a vendor-specific URL, sellers can use their store name as a base URL of their web page. With SSL certificate, you get website authentication. This SSL certification assures users that their personal information is safeguarded from the hackers via data encryption. You can add multiple currencies to initialize the global buying-selling process. Moreover, you can also set up a native language to run a localized e-commerce business. This feature-rich multi-vendor CMS can be availed in $34 along with support for 6 months. If you want to extend this support to 12 months, an additional amount of $10.88 is required. Finally, we have reached at the end of this blog after discussing all the services in detail. I am sure you must have understood the importance of these PHP scripts for the marketplace. 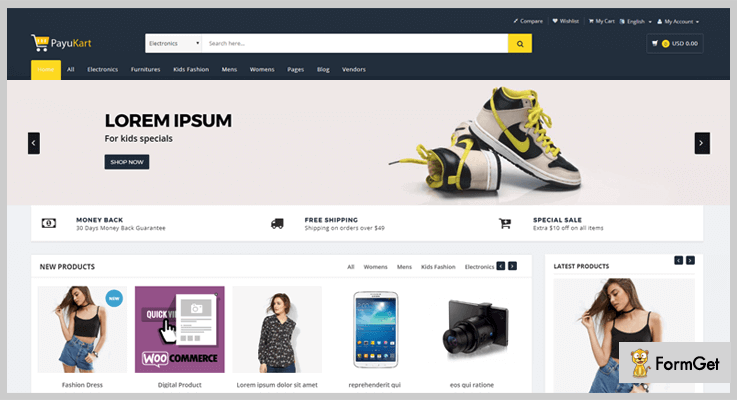 The purpose of this article was to discuss some of the best digital market scripts for your e-commerce portal. I hope you have got an idea about which of these services is going to serve the purpose for your online marketplace. Just in case you get stuck in understanding or usage of these scripts or have suggestions to make, drop a comment in the below section.